Are you and your friends looking for a fun but challenging experience? If so, then the Insane Inflatable 5K is for you! 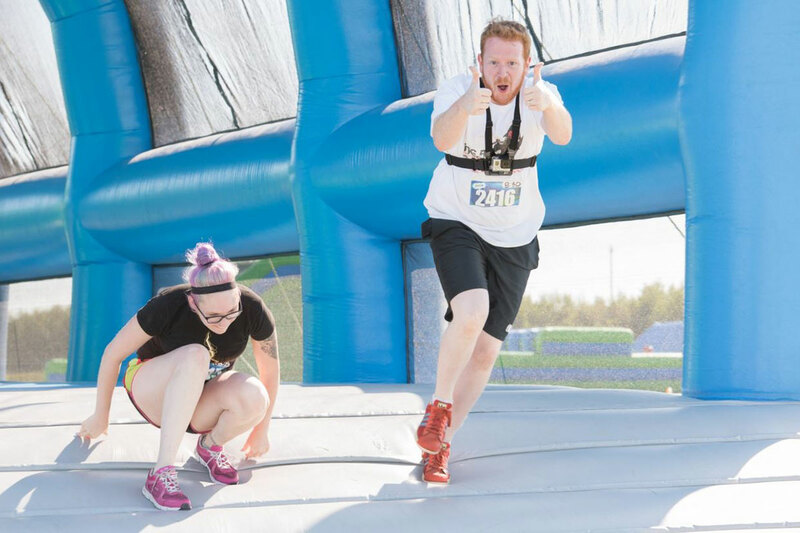 Spanning across the entire county, the Insane Inflatable 5K is a fun run that is suitable for serious athletes to weekend warriors. Test your skills while conquering the inflatable obstacle course during the 3.1 mile race. This fun run is not timed so make sure that you enjoy yourself and don’t get too caught up in the competition of the race, just set your own pace and have some a great time! At the event, participants have the opportunity to register as a team; we’re rooting for the team with the most creative name! It’s a great opportunity to invite your family, friends and coworkers to take part in such a fun run. It’s also a great way to let your creativity flow with cool team costumes and as always, team captains also get some pretty neat incentives so be on the lookout for those as well! One of the great things about the race is that participants have the ability to choose when they want to race. Whether you would like to race early in the morning or a little later in the day, there is a time for you. Race start times can vary between 8:30 AM and 11:00 AM. Be sure to take advantage of the time that works best for you. AmeriCash Loans had the privilege of sponsoring the Insane Inflatable 5K race located in Duluth, MN on July 9th, 2016. We are glad to hear that the event was a success and the participants had a great time throughout the day’s event. Below is one of the many great moments captured at this year’s event. To see the rest of the photos, click here. Photos are courtesy of Townsquare Media Duluth. Make sure to be on the lookout for future Insane Inflatable 5K fun runs near you! Always remember, if you are ever in need of some extra cash to take part in some fun events such as this, AmeriCash Loans has got you covered! Apply online or visit a store location near you to see if you qualify for a loan up to $2,500.